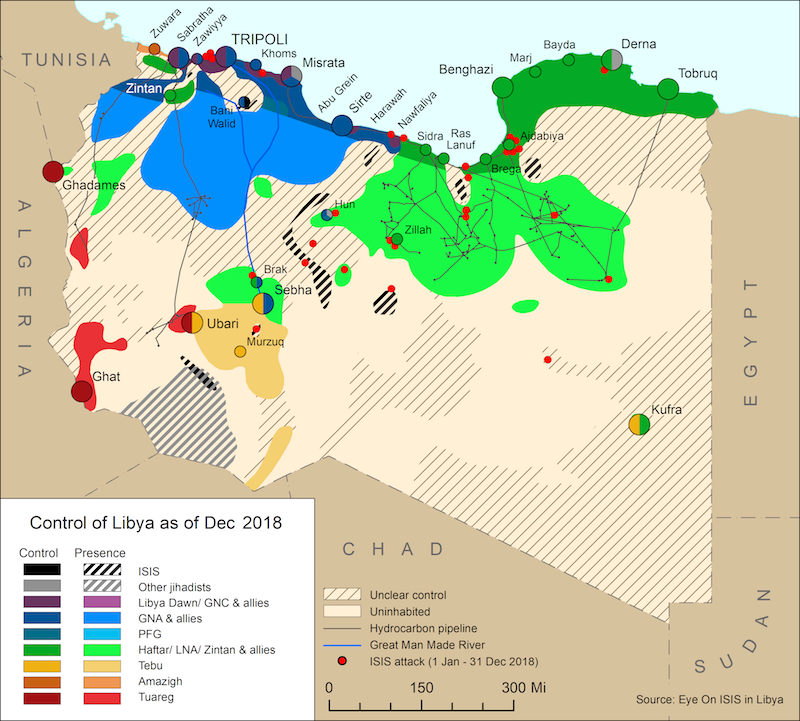 On 15 January, Libyan National Army (LNA) spokesman Ahmed al-Mismari confirmed that an LNA operation to liberate southern Libya from “terrorist” groups is underway. Mismari advised civilians to avoid known militant bases, such as Sebha, and urged local hospitals to declare states of emergencies. 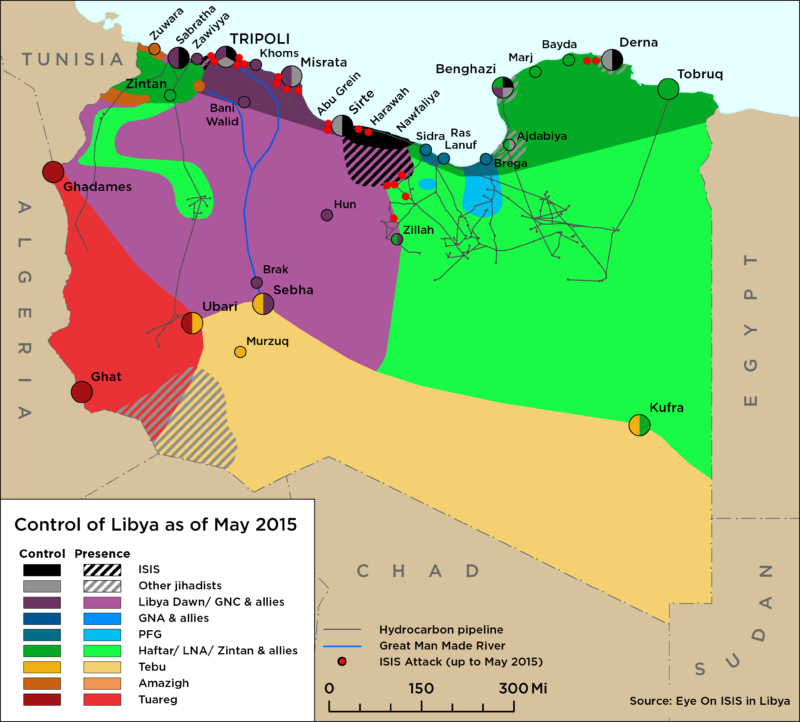 He added that the operation was also intended to “ensure the public’s continued ability to maintain and control Libya’s oil and gas sector”. The deployment of some of these forces reportedly began on 12 January, grouping at Temenhint Airbase in Sebha in advance of slated operations in the border regions with Chad, Niger and Sudan. LNA forces are also being deployed to Sebha and its surrounding areas, including Ghadduwa and Umm al-Aranib. The armed groups deployed to join the LNA’s General Command Southern Operations Room are: the 210, 181, 180, 166, 155, and 128 Infantry Battalions; 206 and 205 Heavy Artillery Battalions; the 207 Reconnaissance and Intelligence Brigade, Tariq Bin Zayed Battalions, al-Zawiyya Martyrs Brigade, and the Saiqa special forces. On 8 January, the LNA’s Military Police Brigade was deployed to Ras Lanuf and Brega in order to facilitate security in the Oil Crescent. The force is expected to act as an internal compliance and enforcement mechanism for the LNA over its affiliated units in the area. On 8 January, three Presidential Council (PC) members, Fathi Majbari, Ahmed Maiteeq, and Abdussalam Kajman, instructed all government staff to cease supporting PC head Fayez al-Serraj, warning the latter that his behaviour risks the collapse of the Libyan Political Agreement (LPA).